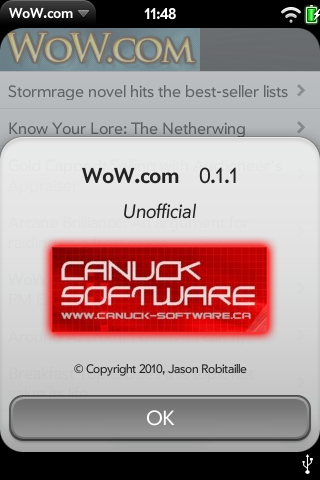 This is a completely unofficial WoW.com webOS app. 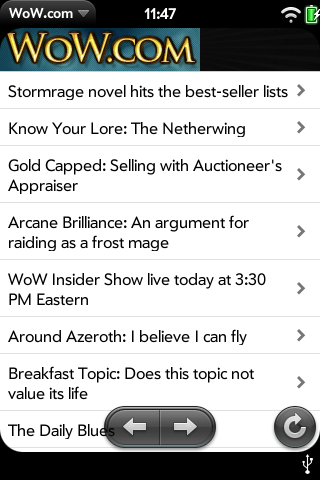 Basically, this is a self-contained webview of the WoW.com iPhone-enhanced mobile website. I've webOS-enhanced it. All WoW.com links will redirect keep users on the mobile site and all non-WoW.com links will open in the webOS web browser. In addition, I've added notification integration options. 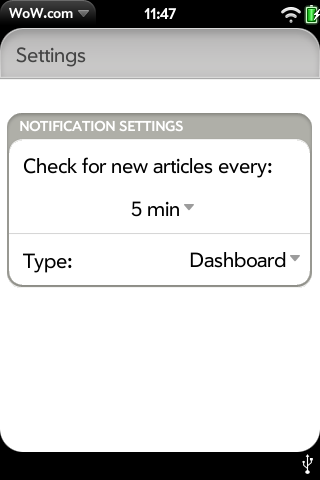 You can choose between simple banner text notifications on new articles being posted, or you can choose the full on dashboard notification type and have notifications stack until checked/dismissed.